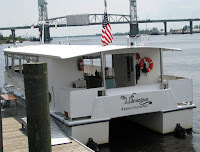 Today we went up the Cape Fear River on the Wilmington Water Tours Catamaran. The boat is very spacious and comfortable they have a nice bar and served a light lunch of wrap sandwiches and delicious brownies. 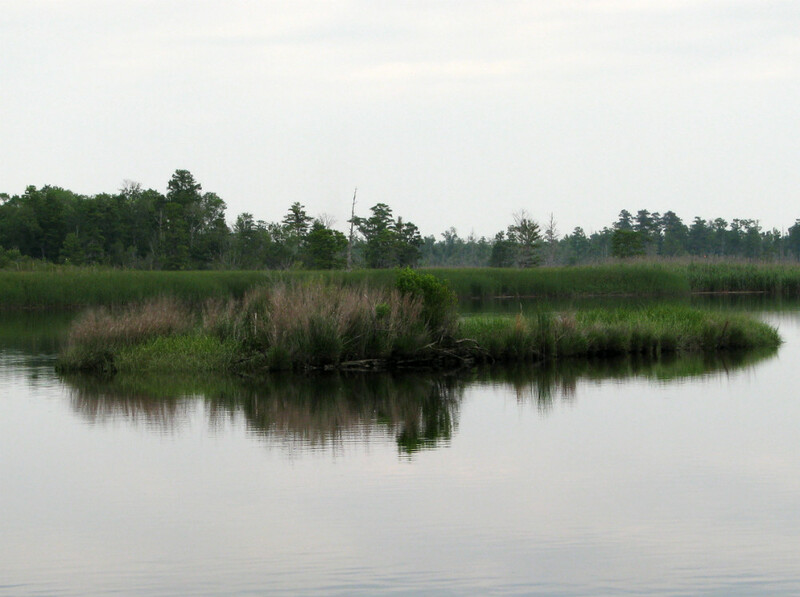 Wilmington and Carolina Beach bed and breakfast Innkeepers all had a really great time touring up both forks of the Cape Fear River. Wilmington Water Tours captain Doug really opened my eyes to the beautiful wonders up river from Wilmington, NC. 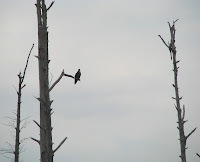 The calm waters today made for some great bird watching in the old rice fields that have become splendid natural habitat for the birds and alligators. 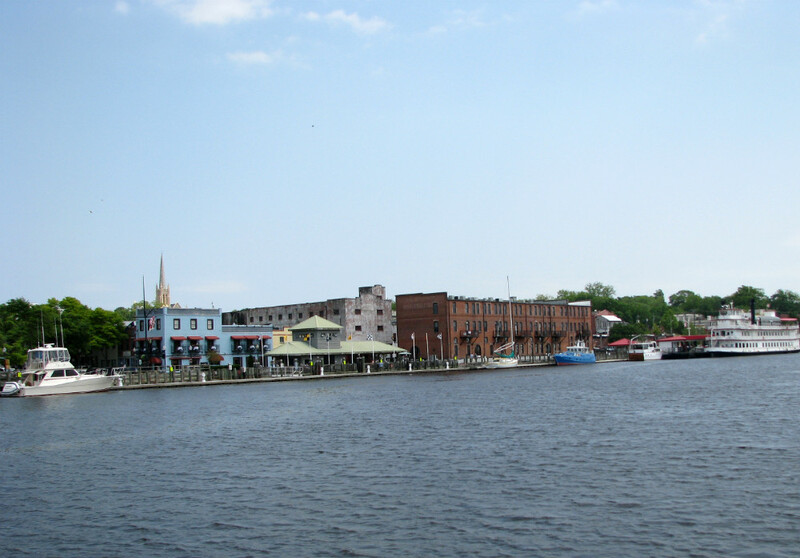 The city of Wilmington, NC viewed from the river is spectacular; we saw houses and other buildings that I had not noticed before. Riding under the bridge and over by the tug boats along both sides of the river on a lovely day like this one is going to be a real treat for anyone who wants to see Wilmington and the river that is it’s lifeblood and imagine the days past when the blockade runners came in to bring precious supplies during the civil war. This island in the river is actually a boat that is slowly going back to nature; you can see the wood hull just above the waterline. 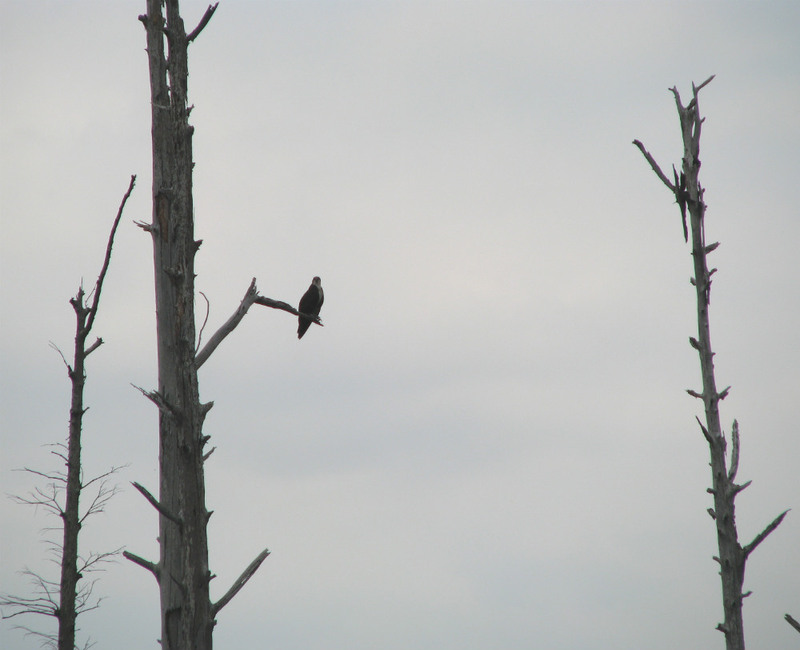 An Osprey in the trees close to the river keeping a watchful eye on us as we passed by. 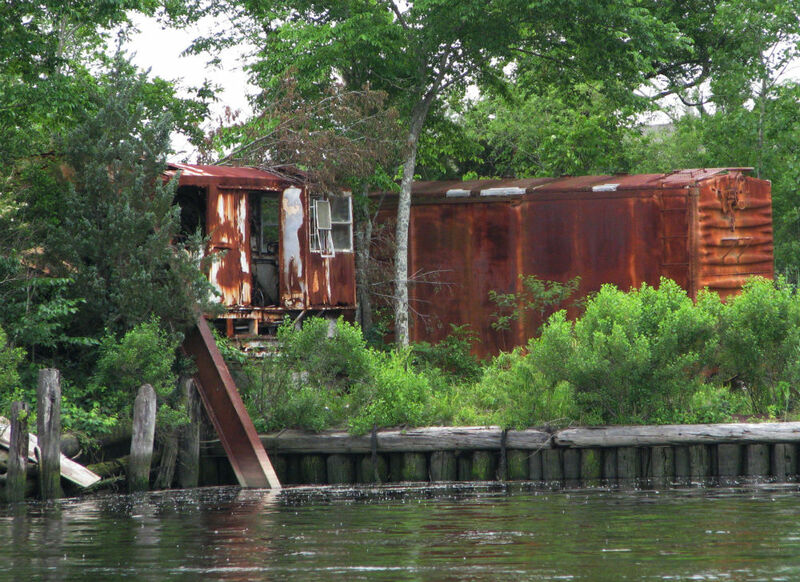 Old buildings and some old rusted rail-cars dotted the landscape, reminders of what once was. 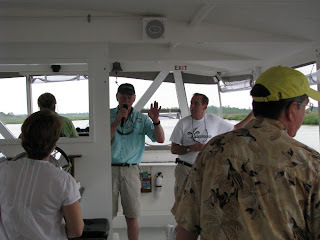 The guests staying at our Carolina Beach bed and breakfast will surely be delighted to take one of the Wilmington Water Tours with Captain Doug and crew. I can’t think of a more romantic getaway than one of their sunset cruises. 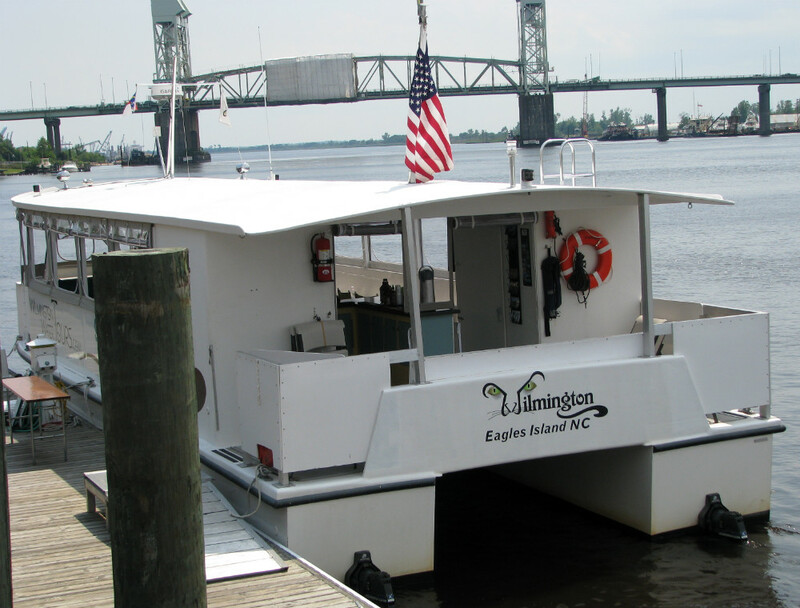 For more information and to book a seat on one of the tours give the Wilmington Water Tours a call at 910-338-3134 you won’t be disappointed. This entry was posted in Family Friendly, Wilmington by admin. Bookmark the permalink.